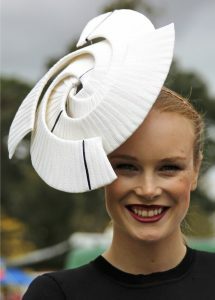 Felicity Northeast is an award winning milliner based on the Mornington Peninsula of Victoria in Australia. 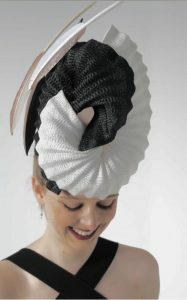 She shares her process for designing her collection and drawing concepts from her scientific background and the inspiration for her winning pieces for the Caulfeild Cup Millinery Award and The Millinery Association of Australia Design Award. We hope you have enjoyed listening to this podcast today. There a few ways in which you can support us to continue to bring milliners making content for milliners. The future of Millinery.Info looks to continue to provide quality industry relevant information and discussions. Your support helps bring more content of this quality. We are working towards growing a larger international coverage through images of millinery events and podcast interviews with leaders within the industry. Donate through Patreon to become a supporter or share this page with a friend via email or on social media.